After about 35-years in Nigeria Reinsurance Corporation beginning in 1980, having served in different capacities including managing director/CEO in the last five years, Isioma Chukwuma, a lady of the Knight of St Joseph has emerged the new President of the Chartered Insurance Institute of Nigeria (CIIN). 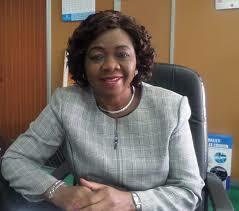 A chartered insurer of long standing, Chukwuma who will be invested as the 47th president and chairman of Council of CIIN on August 11, 2015 at the Federal Palace Hotel would be expected to use her wealth of experience to provide a formidable leadership that would position the institute to continue to deliver value to the growth and development of insurance professionalism in Nigeria. Fatai K. Lawal, chairman of the planning Committee who announced the investiture ceremony said Chukwuma would be succeeding Bola Temewo who has made tremendous success of his tenure especially in his pursuant of the legacy of continuity for the progress being made by the institute. The theme of Chukwuma’s presidency will be “Consolidating the Gains of the Industry for National Economic Growth”. gains the Institute has made during the tenures of the Past Presidents of the Institute. Part of the focus during her ternure would be to situate the CIIN on the global stage, particularly enhancing the Institute’s certificate for global acceptability; up scaling collaboration with CII, UK through consolidation of the existing collaboration on cross accreditation of courses and using the CIIN Certificate to apply for fellowship of the CII, UK; Promoting Insurance Awareness by increasing the visibility the media and follow-up on the recognition to CIIN Certificate by the Head of Service (HOS) of the Federation. Others include renewed pursuit of Training of Insurance Teachers on a National Level; work on achieving wider coverage in the presentation /distribution of the institute’s sponsored insurance textbook for senior secondary schools; completion Institute’s Exams Syllabus Review; commencement of work in the Institute’s Victoria Island property and pursue extension of the Institute’s Professionals to Countries in West and East and Central African Sub-regions, – Ghana, Sierra Leone, Liberia, Kenya, Uganda, Zimbabwe etc.